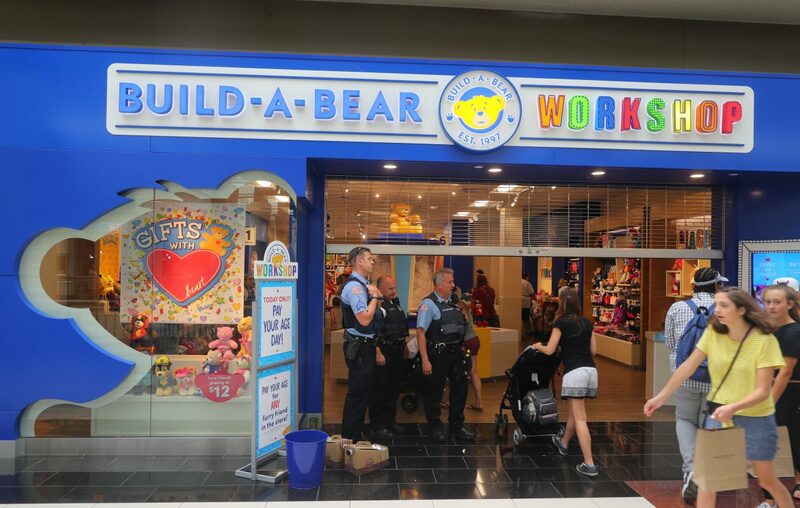 Calling the Cheektowaga Police into the Walden Galleria to calm the crowds of 1,300 people clamoring for Build-A-Bear was reminiscent of another nationwide meltdown over a toy– 35 years ago this Christmas. “You’d have to have been in hiding not to know by now that the phenomenon of The Cabbage Patch Kids is going through the country like a brush fire,” reported Connie Chung on the Today Show back in 1983, when the Cabbage Patch craze was in full effect for that year’s Christmas shopping season that year. Inside a Wilkes Barre, PA store, a store manager was wielding a bat to keep pushing crowds back. In the Buffalo area, one of the worst scenes was at South Buffalo’s Gold Circle store on Seneca Street at the city line. Child World spent the 1980s as America’s second-largest toy store chain, second to Toys R Us. The three Western New York locations of Child World made the biggest such chain in Buffalo. All three stores were in now-defunct shopping malls, including the Thruway Mall, the Lockport Mall and the Summit Park Mall. The Child World chain folded in 1990. 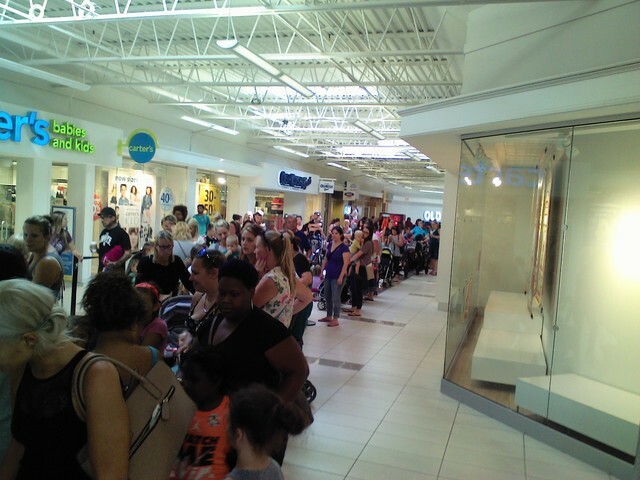 Long lines at the Walden Galleria for Build-A-Bear. WKBW-TV photo.